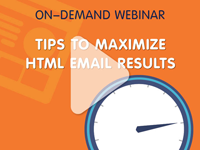 Watch our educational, tip-packed email marketing webinars at your convenience — anytime, anywhere. 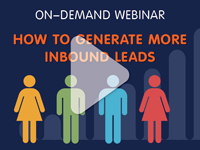 Learn proven strategies to get more prospects into your sales funnel. In this webinar, we'll show you multiple ways to grow your email list and your sales lead funnel. Which is more important – a great subject line or fantastic graphic design and witty content? 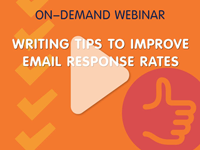 Get great writing tips in 'this email marketing webinar. 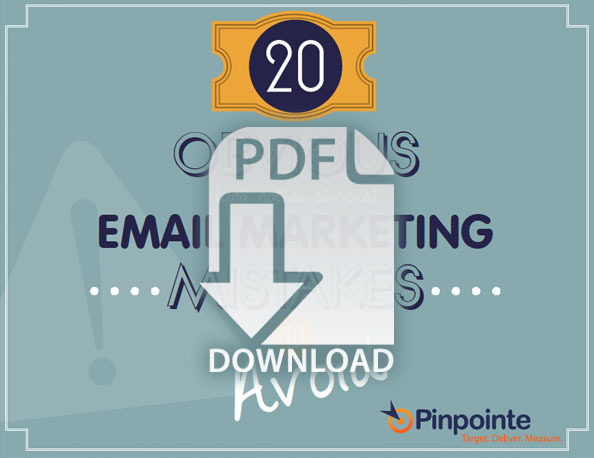 Here's an action plan to help you take your email marketing strategy to the next level with email auto-responders and lead nurturing. 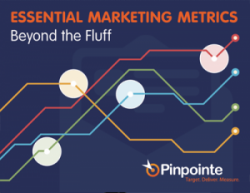 Includes practical examples of triggered email sequences and auto-responders that increase nurture leads and conversions. All the website traffic in the world won’t earn you a dime unless your landing page can convert leads and sales. 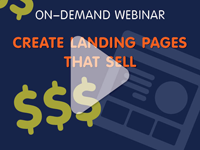 Packed full of examples, this webinar explains how to write and design landing pages that can double rates, leads, and sales online. 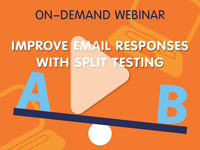 Find out how using split testing increases email response rates. 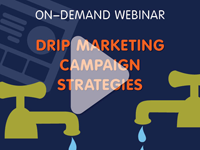 In this email marketing webinar, we will demonstrate A/B testing results using several case studies. 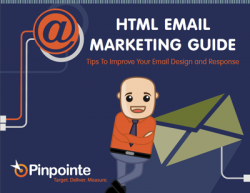 What's Working In Email Marketing Today? Noted industry expert, Bob Bly, shares valuable tips to help improve your email marketing. Gain a full understanding of strategies that increase click-through rates, conversions and revenues. 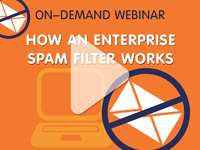 How Does an Enterprise Email SPAM Filter Work? Did you ever want to fully understand how a SPAM filter works? 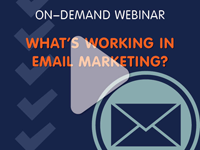 In this interactive webinar, we follow the path of an email from your server to the recipient's inbox, so you know what to avoid and expect when sending email campaigns. 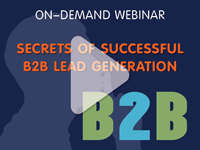 Learn proven strategies to get more prospects into your sales funnel. 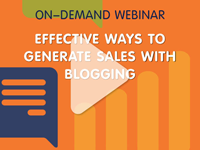 We'll show you multiple ways to grow your email list and your sales lead funnel. 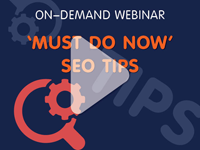 You’ll leave this webinar with tips to help you easily generate twice as many leads at half the cost. Discover why offering white papers and other free content as premiums can double the response to lead generation and email marketing campaigns. 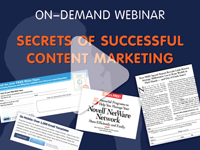 You will also learn how to create free content offers that generate more leads while achieving other marketing objectives. 'Email Marketing 101' – This interactive session is jam-packed with dozens of tips to help you improve your email marketing campaign results with straight-forward explanations and examples. All the website traffic in the world won’t earn you a dime unless your landing page can convert leads and sales. 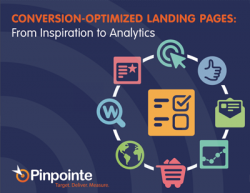 Packed full of examples, this webinar explains how to write and design landing pages that can double or triple conversion rates, leads, and online sales. Successful social selling relies on creating irresistible curiosity. The more intense curiosity, the more attention, response and leads generated. Get to know a strange (but effective) place to start and learn a step-by-step system that will net more customers by creating more confidence in them. 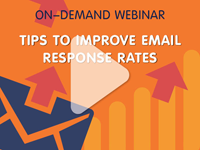 Get valuable tips that will improve delivery and email response rates and help you take full advantage of cost efficient, high-impact email communications.